If you need ground mustard for a recipe and there's none in your spice rack, there are several things that you can use instead. Let's take a look at some possible substitutes. That bottle of regular prepared mustard in your refrigerator door is the best substitute for dry mustard in almost every recipe. Most mustards, particularly the classic yellow, are milder than ground mustard, so a little adjustment is needed to achieve the intended flavor. Replace each teaspoon of ground mustard called for with one tablespoon of prepared mustard. Then, omit one teaspoon of liquid from your recipe to compensate for the extra liquid in the substitute. Yellow mustard is your best bet, though most recipes will turn out just fine with other common mustards, like dijon or spicy brown. If you have a really wild mustard—whole grain tarragon with shallots, for example—be sure to consider how the flavor will work with the other ingredients in the recipe. Make sure your mustard is still fresh. If you have a bottle of mustard seed in your pantry—you know, from that one recipe you made last year—simply grind up some of the seeds to make your own mustard. A coffee/spice grinder will do the job. Yellow mustard seeds are the mildest, and they're the one to use if you have them. Brown mustard seeds are a bit spicier in flavor, and black mustard seeds are the spiciest by far. You'll definitely want to use less in your recipe if you need to use brown or black mustard seeds. And you may want to consider taking a pass on black mustard seeds all together since they're so much spicier than the typical ground mustard. Turmeric: Replace it measure for measure. Turmeric will give you the same yellow color, and some of the same flavor notes. And you don't have to worry about it throwing your recipe off with added spiciness, which is why you can do a straightforward one-to-one swap. Wasabi powder: It's spicier than mustard, so start with half as much, and give the recipe a taste before adding more. If you're trying to work around a mustard allergy, be sure to check the label before using Wasabi. It sometimes contains dry mustard. 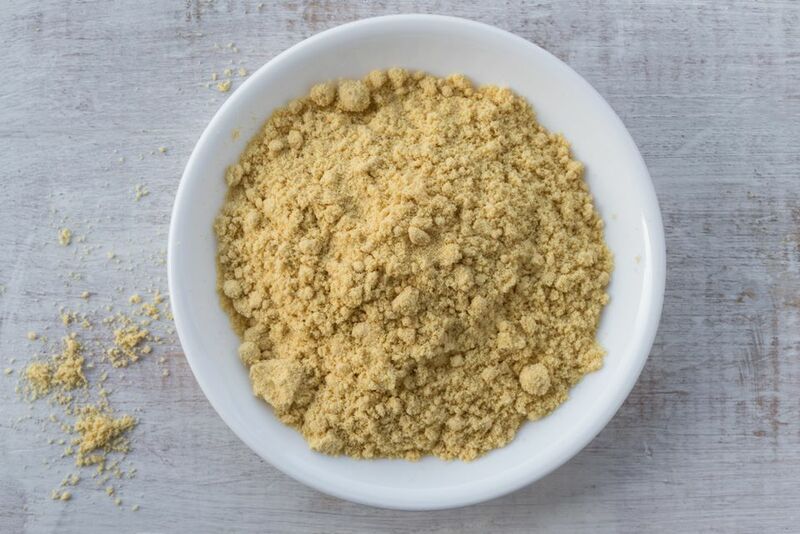 Horseradish powder: This is also spicier than mustard. Add half as much. Then, do a taste test to see if you want more. These substitutes may not be right for every recipe, so be sure to consider if they'll be compatible with the other ingredients in your recipe before you proceed. Sometimes the best thing to do when you're out of an ingredient is to simply leave it out—especially if only a small amount is called for. If your recipes includes lot of other spices and flavorings, you might not even notice the dry mustard is missing. Do You Need to Buy Ground Mustard? Let's be honest: there aren't many recipes that absolutely require ground mustard. The prepared mustard substitute will probably do just fine in 99% of the recipes that you come across. Unless you have a specific need for ground mustard and will use it on a regular basis, you may be wasting money by buying it. To put it into perspective, let's do a little price comparison. A 12-ounce bottle of yellow mustard can cost as little as $2. That means each tablespoon costs around $.08. A small, .85-ounce jar of ground mustard costs around $2.50 to $3. Each jar yields about 12 teaspoons, which means each teaspoon costs about $.20. If you use a tablespoon of yellow mustard in place of each teaspoon of dry mustard called for in your recipes, that's a possible 16-cent savings each time you make the swap. Add in the fact that you'll have one less spice bottle taking space in your pantry, and you may not want to fool with ground mustard at all.